 Great to build Vintage Distortion and Wah-Wah Pedals (suitable devices perfect for Fuzz Face and etc, are marked as "GUITAR")  For repairing vintage equipment with Original Parts  Or for your Vintage Semiconductor Collection! I will update quantites of times as they sell and remove payment links for items no longer availalbe. Items will be tested when sold - If tests fail only full functioning parts will be shipped. Payment for non shipped items will be refunded. Power Output Transistors. 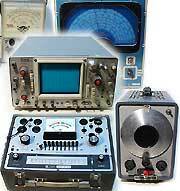 Used in early, mid and late 1960's Magnavox stereo consoles. -> Please specify which suffix you need. 6P1G5G/F Diode, layered selenium disks, dipped, 1 diode ea. : 6P1G5G, 6P1G5F, please specify! #7 1 ea. = 2 $15.00 ea. UNMARKED PNP Germanium Transistor, for Audio applications, Potentioally great for vintage guitar pedals! Type unknown, metal can, removed form a piece of audio equipment, that was made in the USA in 1966. Will sell your first sample for $3.00 (overpayment refund), so that you can measure the specifications and if useful for you. Info: Base = center pin. CBE? Power Output Transistors. Used in early, mid and late 1960's Magnavox Hi-Fi Stereo consoles. -> Please specify which suffix you need. *2 = amount of transistors in stock - maximum amount that can be ordered - payment for unavailable items will be refunded. *3 = please order carefully: All items are one of a kind vintage items and can be only shipped in quantities on hand - payment for unavailable items will be refunded promptly. *GUITAR = perfect for vintage distortion pedals, such as fuzz face, etc. Wil measure leakage and actual hFE of each transistor before shipping and include note with measurment results for each transistor. 2 NOS AMPEC PC-201 Type 3 Miniature Vacuum Tube audio amplifier modules with original booklet in original Box. These two AMPEC amplifier modules are old stock made in 1952 by Centralab, Milwaukee, Wis.,contain each 3 pencil tubes and are unused. Each module is model PC-201 and contains 3 Raytheon miniature type vaccum tubes. Tube types are 1 CK525AX and 2 CK512AX tubes per module. Included is a 19 page mini manual which contains: Schematics, hook up information, frequency charts, gain-frequency charts, illustrated suggestions for various input and output circuits and applications with schematics, plus bias considerations. These are the perfect building blocks for Microphone pre-amplifiers such as used inside of Condensor Microphones or to craft a dual chanel Hi-End Mic Pre-Amp for field recording applications to be used with modern recording equipment. It is rare to find these modules at all - and it is extremely rare to find 2 equal units in unused condition. This is a once in a lifetime single item opportunity and once sold it is gone - forever. Dimensions: (aprox. , each. ): PCB: 1 1/8" x 1 1/4"; Overall Size: 1 3/4" x 1 1/4" x 3/8", Hookup Wire length: 2 1/4"
Lot: 2 NOS Ampec PC-201 Vacuum tube Audio Amplifier Modules - tubed with 6 Miniature Raytheon Vaccum tubes, 1 Original Owners manual with technical information and schematics, 1 Original clear plasric box. 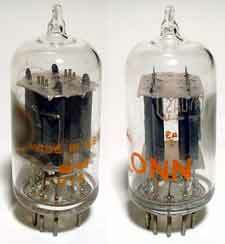 These clear top 12AU7A tubes were made in 1968 , likely by RCA and are branded Conn. RCA clear top tubes are one for the finest vintage 12AU7A's. These tubes are used but test as strong as new ones. As these came out a vintage piece of equipment they are dusty on one side. I could clean, but leave that up to you, as not to damage the original and perfect imprinting, which is: "CONN 12AU7A, made in USA, 68-42 274". Vintage cleartops sell online at an average price of $40 (ea. 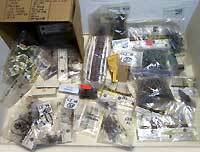 ), if NOS - I am selling for $18.95 each. Tubes will be tested individually with my Hickok Transconductance tester before shipping. Matching at additional cost of $4.00 per pair. Only 32 tubes available - buy before they are gone! Description: These capacitors are perfect if restoring old radios or phonographs. Build a replacement for a multiple section can capacitor. These are quite small for their value and due to their small size can be stacked to fit into an emptied out can. Or: Because they are small: fit them with other components inside the chassis. A higher value of 100 uF compared to the usual 80 uF, 50 uF or 30 uF section capacitors, such as used in most sets, results in less hum, clearer reception and a better bass response. A higher voltage value of 200V instead of the usual 160V also helps with longer life expectancy, as less stress on the cap. Perfect replacement parts also, to restore and repair other vaccum tube type equipment, such as vaccum tube type record changers and record players. Dimensions / Details: 100 uF 200V; Diameter: about 5/8", Height: slightly less than 7/8". These are new (unused) quality capacitors made by Panasonic, temperatiue rated at 105 degrees celsius, CSU, with presure release indents. Regular Price: about $1.80 ea. Description: These capacitors are US made for industrial applications. Sprague Powerlytic Type: 36 DX. 5900 uF 40V. Threaded screw type lugs. NOS. Dimensions / Details: 5800 uF 40V; Diameter: about 35 mm ( 1 3/8"), Height: 8 cm ( 3 1/4"). 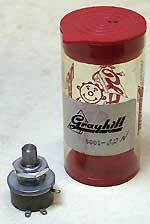 These are new (unused) quality capacitors made by Sprague in the USA, temperatiue rated at 85 degrees celsius. Regular Price: about $18.00 ea. Description: There is no better potentiometer if it comes to durabiulity. allen Bradley speakes for itself. NOS in original box. Dimensions / Details: 5.0K 10% TOL; JAIN056S502UA RV4NAYSD502A. Description: US made quality part. Perfect for motor control applications. Side positions temporary - toggle swings back to the center when released. 2 x SPDT, 6 contacts, where in center position 2 x 2 contacts are normally closed. When togle moved then the closed contact of the side that is moved opens and is thrown to sencond position closing between cnter and the other side. 2A 250V or 5A 125V AC. Dimensions / Details: 2A 250V or 5A 125V AC. 1/4" mounting. toggle extends 3/4". Description: US made quality switch. Center mount - easy to install! Perfect for Power on / off, but for other applications as wel: SPDT switch. up to 1W here - 2W and up see bottom of page! 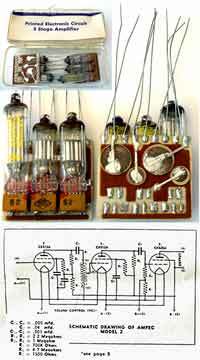 Allen Bradly resistors are quite often used in 50's and 60's audio and tube equipment. All resistors shown here are industrial type quality - US made and NOS. Values availalble: Please indicate value and quantity of $1.00 lots when ordering. Values not shown are not available! Price: Sold in $1.00 lots. Please note quantities per $1.00 lots, which varies. Please indicate value and order quantity of $1.00 lots when ordering. These Allen Bradly type resistors are quite often used in 50's and 60's tubbe equipment. Buy for restoration and repair projects! Dimensions: 11/16" x 6/16", Leads on NOS about 1/2" long, Most used resistors have shorter leads. Values availalble: Please indicate value and quantity when ordering, One of a kind items - please observe quantities avaialable! There is absolutely NO POINT in ordering larger quantities than what I have! Values not shown are not availalbe! Please indicate value and order in the quantity of all resistors needed when ordering. Please observe quantities avaialable! Description: This RAM chip is long obsolete and very hard to find these days. I beleive this was used in early drum machines, such as the Roland DR-55. From 1983 NOS in original packing. Dimensions / Details: 16k Dynamic RAM 4116/MM5290-055 RS part# 276-2505. Price: $25.00 only 1 available!